This is the post about the Agricultural Stone calendar of the Agawa people (left) of Bontoc that I transferred here from another blog. 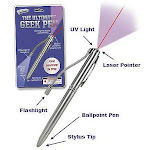 It answers many of the questions of astronomers and others who have heard about it and wondered what it's all about. Regarded as a unique astronomical monument, Agricultural Stone calendar of the Agawa people is in Sitio Gueday in Besao, near Sagada in the Philippines. It is the local counterpart of ancient structures in other countries which also use the motions of objects in the sky to mark specific times of the year. The annotated material that follows is from Desiree Caluza, a correspondent of the Inquirer newspaper, and is reprinted from her web post with permission. When the sun’s rays hit the protruding rock of Mt. Ambaon Bato (Mt. Buried Rock) every thirtieth of September, another life starts for the I-Agawa (or Agawa) people in this farming village, where life and times meet. September 30 is a day for the people of the Agawa tribe to pound rice and to cook linnapet, a native rice cake, to signal the start of the festival to prepare the seedbeds for planting season. This day, which is being observed by the I-Agawas annually, would always gather people from different walks of life to their mother dap-ay (a circular stone structure where the council of elders meet) to observe how the sun’s rays would project like a laser beam through the niche of a stone on Mt. Ambaon Bato to the stone calendar of the mother dap-ay in Sitio Gueday. This marks the agricultural cycle and for I-Agawas to share the linnapet. "This occasion is the local people’s version of Christmas, wherein families celebrate together the spirit of linnapet festival," former Besao councilor Gloria Bantog, said. On Sept. 29, all roads led to barangay Agawa as people go to watch the spectacular sunbeams and to cook, share and eat linnapet. Even the I-Agawas who are based outside the province and live in the lowlands celebrate the day to make the linnapet spirit alive. Bantog said even the Agawa people abroad who are based in the United States, Hongkong and countries in Europe celebrate the Linnapet festival. "In Baguio you’ll find I-Agawas converging at Burnham Park sharing our native delicacy," she said. Local journalist Joel Belinan of Zigzag Weekly who grew up in Agawa related that he would receive calls from friends abroad when he was a social worker in Singapore. "Friends would call me up every Sept. 30 and they would tell me: maglapet tako (let us eat linnapet)!" In Sitio Gueday, the stone calendar sits still among the tablets of stones in the mother dap-ay. According to the elders, the stone calendar bears inscriptions etched by their ancestors who offered alingo (boar) to the spirits. The inscriptions are lines which are either long or short. Bantog said the short lines indicated that the villagers had butchered a small pig while the longer lines meant they had butchered the bigger ones. The stone’s inscriptions though, also meant something else for the I-Agawas. According to Bantog, a certain Jewish scientist named Spiback, who accidentally discovered the place in 1956, told the villagers that they may have descended from the Shan Dynasty of China. Because, like the ancient Chinese of the Shan Dynasty, the I-Agawas have chinky eyes and a stocky body structure, said Bantog, citing Spiback’s claims. Citing anthropologist William Henry Scott, Bantog said that the inscriptions on the stone calendar showed stark similarities with the ancient form of writing in China. The mother dap-ay which is called by the villagers as Awaw, determines the planting season in Agawa. Before the advent of the Gregorian calendar, during the Western colonization, the ancestors of the I-Agawas observed the sun’s rays that would hit the stones of Mt. Ambaon Bato and Sitio Gueday in a parallel projection. The villagers said that in the 1920s, a man who would observe the movement of the sunrise had noticed that its rays would usually hit the stones every Sept. 30. That was when they decided to mark the date as "Linnapet Day." Locals have noticed that as the years passed by, Sitio Gueday had been sinking. "Gueday" in local terms literally suggested the same meaning. But this has not dampened the spirit of the I-Agawas to celebrate the Linnapet Day, even with the fact that the stone calendar had been vandalized and portions of it stolen by some "outsiders." Bantog related that in 1986, the village discovered that the stone was vandalized. The top of the stone was chopped off and the I-Agawas could not trace its whereabouts. Most of the villagers thought that the act was politically motivated. Leon Lonogan, an Agawa tribe member and author of the book "The Sunset at Sunrise, The History of the Agawa Tribe," said residents searched in nearby brooks to look for the missing relic. After a long search, they found only one-third of the stone. Lonogan said the people returned the said portion of their stone calendar to its proper depository. "The people were gnashing their teeth for the loss of the stone calendar," Lonogan wrote in his book. 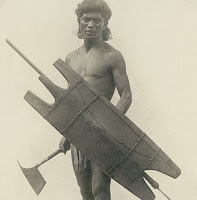 Lonogan said the elders had proclaimed three days of ngilin, a rest day set aside to solemnize a ritual. The elders performed a ritual at the Awaw to bring disease, epidemic and even death to the thieves. When Bantog was an elementary school teacher in 1970 in Barangay Ambigew, an oral tradition was passed on to her by an old man who told her the legend of linnapet. "Since you are the one who could write, please write our own legend, I am afraid that the oral tradition might soon be gone," Bantog said recalling the words of the old man. Bantog recounted that she immediately grabbed a pen to write the legend. She immediately transcribed her notes using an old typewriter. She has managed to keep the written legend until now. According to the story, there was once a couple who lived in Ba-ang, Pedelisan who had a pregnant pig. When the pig was about to give birth, it disappeared. The owners found the animal’s footprints while searching for it. When they followed the footprints, they arrived at a deep cave and were surprised to discover that the pig gave birth to seven fat litters. The couple named the place "Agawa" because it was where the pig "rushed to" to give birth. The couple decided to settle in Agawa to take care of the pig. They started planting rootcrops such as gabi, camote and legumes. They did not plant rice. They were so discouraged that they feared that they were going to eat camote for the rest of their lives. One day, when the man decided to go back to Ba-ang to learn the method of growing rice, he found an old man with shining robes on top of a big stone while he was on his way up the hill. He was so scared that he almost fell on his knees. The man explained to the strange visitor that he wanted to learn the method of growing rice because he wanted his family to taste rice. The old man then gave him instructions. "Tomorrow, go to that stone opposite to us and wait for the sun to rise. If the rays of the sun are parallel to the stone where we are now, go out and tell your neighbors that the time for preparing fields for planting rice has come," the old man said. "To remember this day, cook your best product using your best recipes, then share it to relatives, neighbors and friends. Being the oldest in the group, get your fattest piglet and bring it to the dap-ay and offer it as a sacrifice to the god of harvest who is in front of you now." The old man also instructed the man to mark the stone with a line and to call the event "Linnapet day." "The man who told me the story had a great imagination that I was really inclined to believe. But by looking at things now, I’m seeing the connection," Bantog said. Bantog said the rice cake with a traditional recipe of water crickets, mudfish, and eels is now prepared using sweetened peanuts. She said other villagers are lamenting that their own delicacy is being marketed commercially. "But there are others who prefer to eat linnapet which is traditionally cooked. For them, linnapet is tastier during this season because it is keeping our village spirit alive," Bantog said. 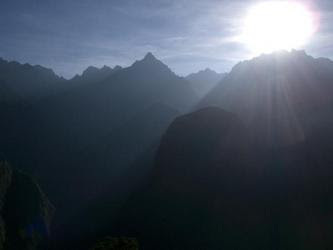 The picture of the sun peeking above mountaintops is by Scott Gregory taken in Machu Picchu. Take a journey across the night sky in the comfort of your own room with the Star Theater Se. It's a Stellarium interactive astronomy software home portable planetarium. 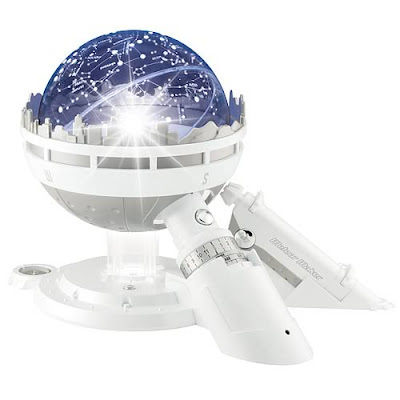 Click here or on the image to order your own Star Theater SE home planetarium.